The Snowmobile Rental Experts for Northern Michigan! 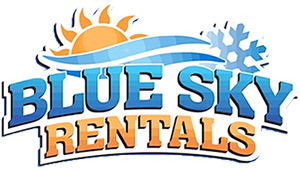 Blue Sky Rentals, Inc. is the premier Traverse City snowmobile rental outfitter. 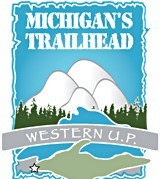 Sled the pristine trails of northern Michigan in style on our new and late model Polaris and Arctic Cat snowmobiles. Rentals are easy to pick-up and drop off at our Traverse City staging area at Peegeo’s, within minutes of endless northern Michigan snowmobile trails. Free and ample parking is provided, sufficient for tow vehicles and trailers. Experienced riders as well as novices rave about the custom snowmobile adventure we provide. Take a complimentary trail map and venture out on your own, or contact us for a guided snowmobile tour. Depart from our convenient trail head location at Peegeo’s, and be on the trails in moments! Rent your snowmobile from Blue Sky Rentals, the expert in Traverse City snowmobile rentals. Call today to make your rental reservation! 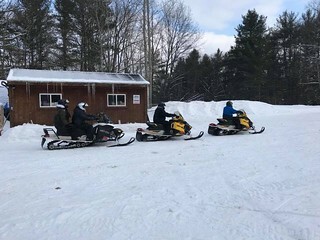 Perhaps you are unfamiliar with the Traverse City snowmobile trails, or perhaps you want to snowmobile off the trails in less congested, unmapped areas. Blue Sky Rentals, Inc. is pleased to offer guided tours in and around the Traverse City area. Guided tours can be customized to fit your needs, and rates are determined by your request. Please reserve your guided tour in advance, trail guide schedules book out early! Private tours Monday – Thursday only, must have a reservation. Group tours on weekends depending on availability. Custom tours available. Groups larger than 5 snowmobiles require 2 guides. Second guide fee is $25 per hour. Times are estimated and will vary depending on your snowmobiling experience. Below are the latest postings from the Blue Sky Snowmobile Rentals Page On Facebook. They look so awesome , and fun ! Dawn Sievert, we’re definitely renting one! That's awesome! Congrats, this should be huge for you guys! This is so flipping awesome Jamie Bush! !